The Olympics are now on day 4 of competition and it has been a lot of fun to watch. I think the Olympics are my favorite overall Sporting event. I was born just a few days before the start of the Montreal Olympics, and I remember fondly watching almost every Olympics since then. I enjoy the stories of the athletes, most lesser known than the “professionals” that absorb most of the sports landscape in North America. Many have incredible journeys and vast measures of sticktoitiveness to make it to the Olympics. Today, I want to share 3 of those stories. It doesn’t take long to become a fan of Maame Biney. Maybe it is her father, Kweku, holding a sign saying “Kick some Hiney Biney!” at Olympic Trials. Maybe it is the huge smile that is seen almost all the time flashing across her face – except at race time. Maybe it is the dance of excitement she breaks into when she is successful in a race. Maybe it is a bit of all this wrapped together with an amazing story of moving from Ghana to Virginia, being separated by all those miles from her mother and younger brother. You can check out the story in this CNN article. It shares how 3 months after arriving in America, her dad pointed out a “learn to skate” sign for figure skating lessons. That didn’t take, but her coach suggested that her speed and energy would work well in speed skating. And there, at age 5, began the journey that has sent her now to PyeongChang, South Korea. Upon qualifying for the Olympics, Biney shared the importance God plays in her life. She wrote “I want to start off by thanking God. I am so sure that none of this would have happened if it wasn’t for Him. If God hadn’t given my dad the strength to wake up, and take me to practice, I wouldn’t be here today. I also want to thank God for giving me the passion to do this.” It is this last line that catches my attention. God has given us all passion to do different things. What is your passion? How can God use you for His purposes? The other part of her story that I kept coming back to was something her father said to her after she felt she had a bad result at a skating event. 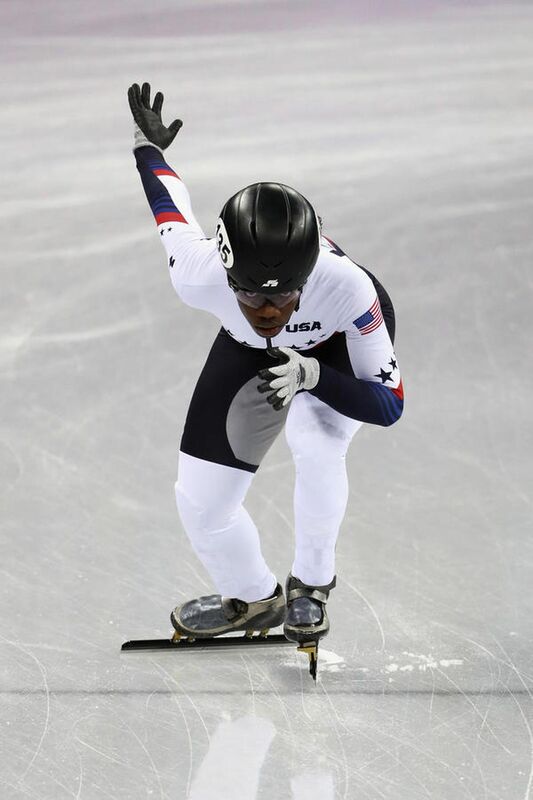 He said “No matter what happens tomorrow, whether you get last or whether you get first, just know that I love you not because you’re a speed skater but because you’re Maame and you’re my daughter,” I love that because it is similar to how God views us. No matter what happens tomorrow, He loves us – not because of what we accomplish, but because we are His creation. What a great place to rest in – His perfect, unending love. Seun represented Nigeria in the 2012 Olympics in the 100m hurdles. She had sustained a leg injury and was not at 100% for those 2012 games. As you can read in this article from TMC she was not content with the results failing to qualify from her opening heat, so she tried out for Team USA bobsled in hoping to redeem her Olympic experience. 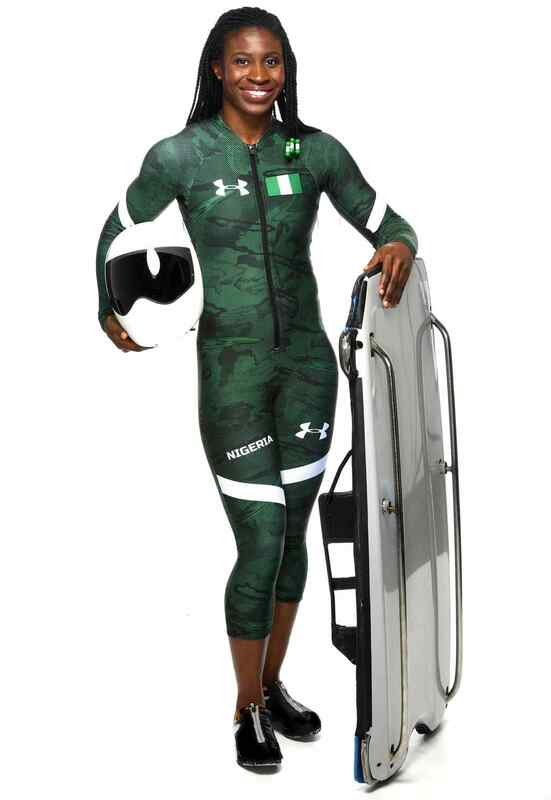 She is a duel citizen of USA and Nigeria and her bobsled training experience, partnered with the fact that 2 of her friends in Houston were also track and field athletes and also duel citizens from Nigeria, to put together the first ever bobsled team from an African country. 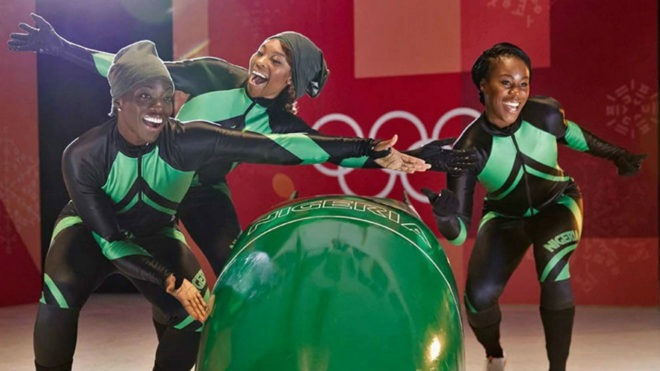 The Nigerian Bobsled team is the first African entry in the Olympic Bobsled competition. What opportunities are presenting themselves in your life? How can God help you flourish in those opportunities? 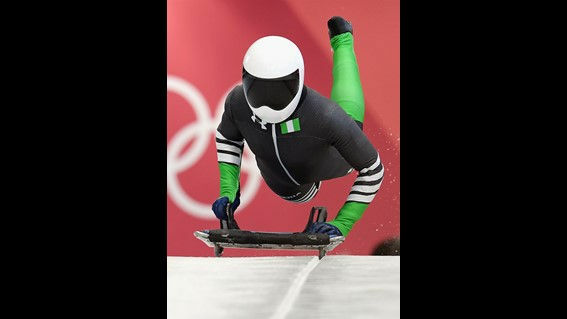 Nigerian Skelton competitor Simidele Adeagbo. 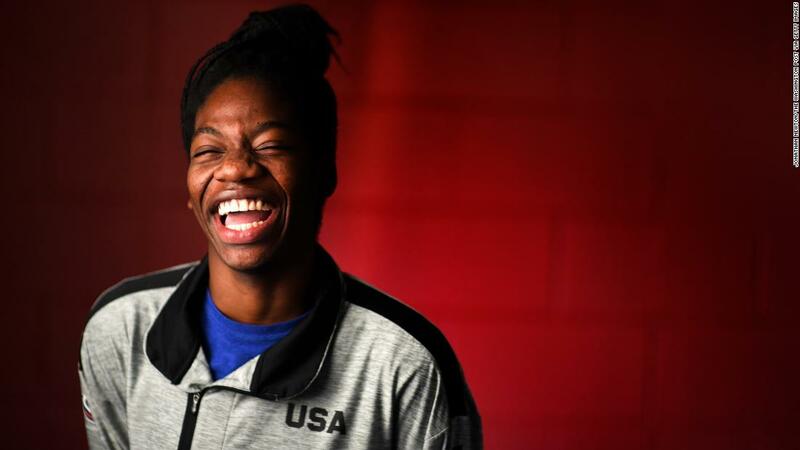 If Seun and the other bobsledders were hoping to inspire other with their historical efforts, they don’t have to look very far to see that they have. Meet Simidele Adeagbo. 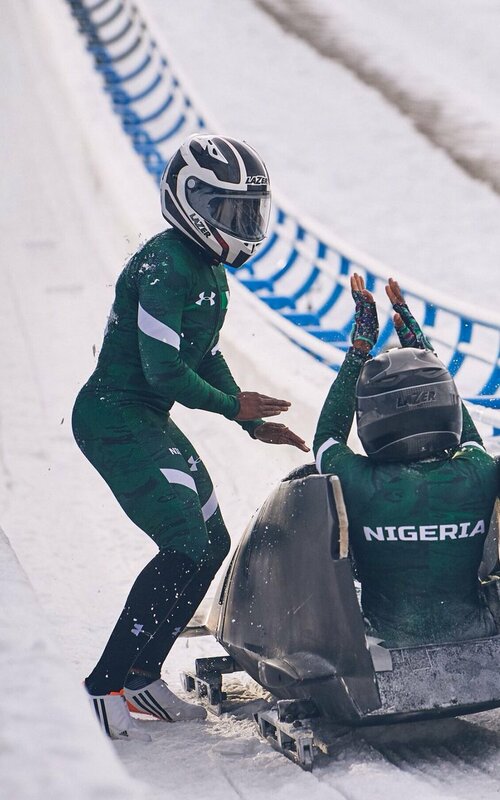 When she heard about the Nigerian Bobsled team, she was inspired to chase her own Olympic dream as well. She had been pursuing her hopes to make the Olympics her whole life, as a Track and Field athlete. She had not been successful, and finally saw her opportunity present itself in an unexpected way – in the Winter Olympics. You can read about it in this interview from Punchng.com. She learned about the bobsled team and it inspired her to take up a new sport – Skelton. She has only been active in the sport since last September. Adeagbo only picked up the sport of Skelton last September. 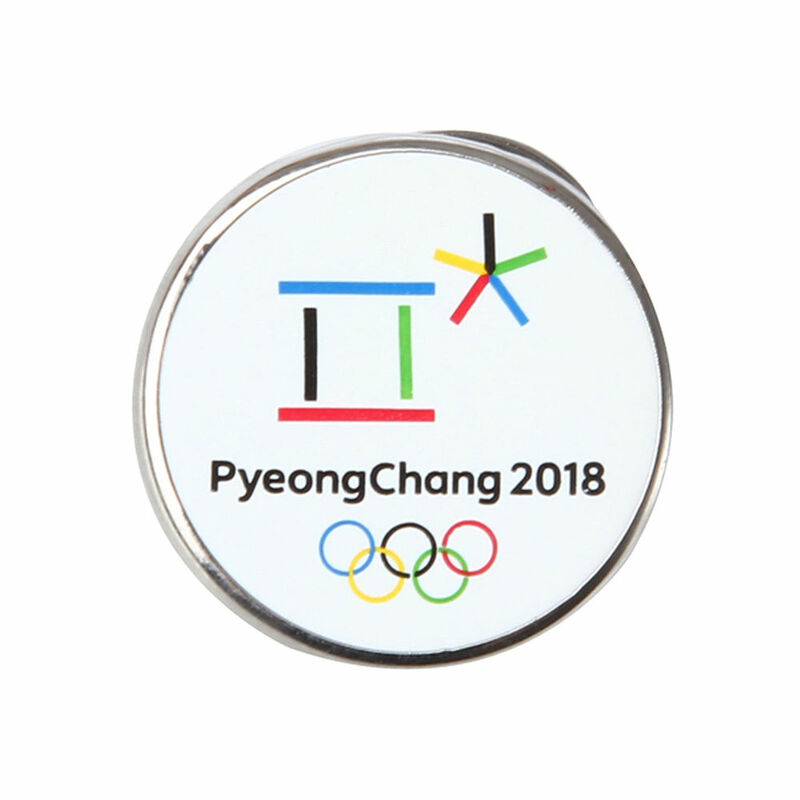 To qualify for PyeongChang is an amazing accomplishment. Faith is most important. It can lead us down roads we never would have dreamed of. Where is God asking you to trust Him and step out in an exercise of faith? Are you ready for the adventure that awaits?